When it comes to getting a dog crate or cage, experts say that it is about the most expensive pet necessity you will acquire in all your years of dog parenting. Many times, this dampens the spirits of many dog parents and they consequently jettison the idea of getting their dogs a crate or a cage altogether, but you needn’t do that. The truth is that every dog needs his cage. It’s an instinctual thing. You’ve probably heard it before but it bears repeating, dogs are den animals. They love to have a place to which they can retreat when they feel scared, depressed, moody, or just need to relax, and catch a few winks. So, if you claim to love your dog, you should naturally get him his crate. That said, some may say “okay, I know my dog needs a cage but I can’t afford hundreds of dollars to get him one”. Yes, you and so many others as well. And that’s the reason we have taken out time to do some really in-depth research to find out the best cheap dog crates on the market. Getting a cheap dog cage on your own can be a very risky venture because there are many rascals on the internet (as well as in brick and mortar stores) parading all kinds of things and passing them off as great dog crates when indeed they are nothing more than horrendous rip-offs. You did a smart thing by checking out for reviews before going off to purchase a cheap dog crate. And with the helpful information from our guide as well as the assortment of great dog cages in our reviews, you should be able to find something that you and your pup would love. The first thing to consider before getting a crate for your dog, cheap or lavish, is the size. You want something that your pup will feel absolutely comfortable and at home in. 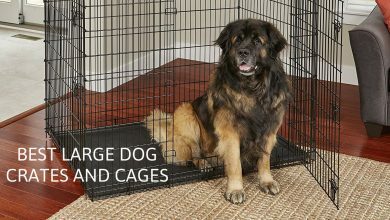 Now, there’s something that you should keep in mind when it comes to dogs and their cages. The larger the better is not always the case. In fact, it is never the case, it could be the case for humans though, but it’s never the case for dogs. A dog’s cage must be spacious enough for him to move (turn around, sit up without bumping his head, and lie down with his legs fully stretched) but at the same time not too large that he feels insecure. Again, dogs are den animals. Always keep this mind when you think of dogs and cages. So, how do you go about getting a cage like this for your dog? You guessed it! You measure! So, grab your tape measure and let’s show you how. First Step: Get your dog to stand tall and proud, and then with your tape, take his measurement from the tip of his nose, going down to his tail base (that is, at the point where the tail joins with the body of your dog). The reason you’re measuring to the base as opposed to the tip is what we earlier shared with you, and that is to avoid getting an unnecessarily large cage that makes him feel unsafe. Now, after getting the value of this measurement, you should add about 2 to 4 inches (or 5 to 10 centimeters) to it. This new figure will give you the ideal length you want for your dog crate. Step Two: Now get your dog to sit upright with his head held high. This time around, you want to take your measurement from the tip of his nose (at its highest point) to the floor. And just like you also did with the length, you should add about 2 to 4 inches to the value you get to get the ideal height for your dog cage. Some may be wondering why we took the height of the cage with the dog sitting instead of standing. Well, it is because, for most dogs, they are their tallest when they sit rather than when they stand, so to make sure that they don’t bump their heads whenever they decide to sit, we measure the height of the crate in a sitting position. There are all kinds of dog crates made of different materials. And each of these dog crate types naturally comes with its advantages and disadvantages, which, on both counts, include cost. Because of the scope of our reviews today, we will focus on the cheap dog crate types to give you an overview of the different types of crates available to you at a cheap price. 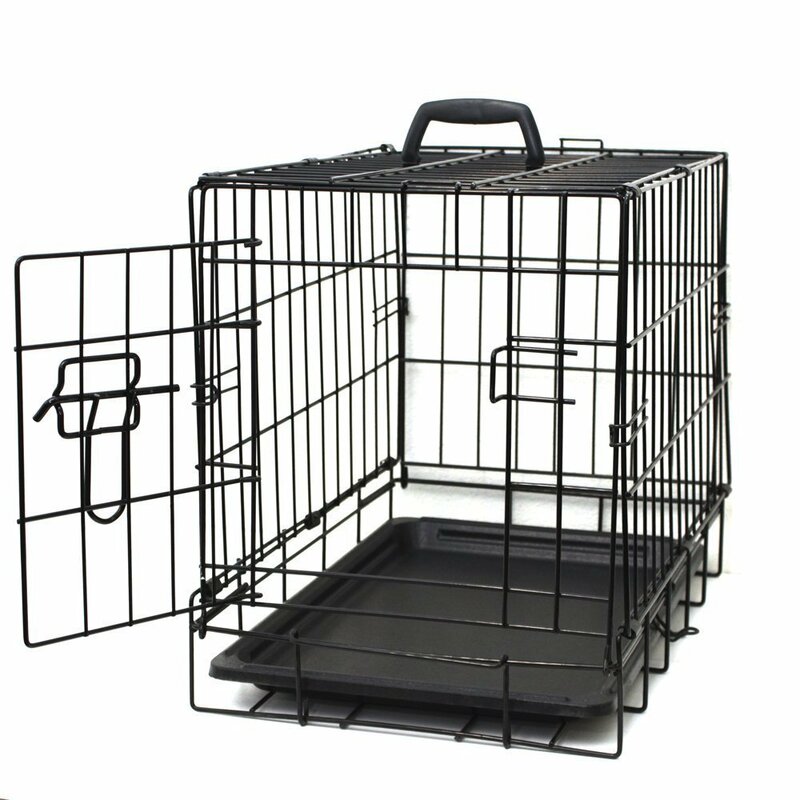 Wire Dog Crates: These are the least expensive of all dog crate types. And they come with so many advantages. A primary one is that with a wire dog crate, you have unhindered visibility every time. Seeing into the crate to check how your dog is doing per time won’t be difficult. And also, with the gaps again, your dog will always have a constant, continuous flow of fresh air. And you know that fresh air is always good. Other advantages they have are their strength and ease of assembly. They can withstand most dogs’ mal-handling, and most of them easily set up and fold out without any hitch. This also means that they store easily and transport easily as well. Plus, they are the easiest to clean of all the dog crate options. Challenge is that they aren’t exactly your most attractive options and they can kick up a bit of noise. They are probably what the sages had in mind when they formed the expression “rattle your cage”. Plastic Dog Crates: A plastic dog crate is best for a shy pup. If your dog is one to love the tranquility of a secluded place when he wants to nap, then maybe you should get him a plastic dog crate. Just like its wire dog crate counterpart, it isn’t the most attractive crate in the world. However, it is one of the affordable types of dog cages in the market. Also, they are fantastic for escape artist dogs just like wire crates. Dogs hardly make it out of a properly constructed plastic dog crate. For flights, plastic dog crates remain one of your best options, and seeing as most of them are easily disassembled and reassembled, they also store easily as well. But then, ventilation isn’t super in a plastic crate so you can’t be thinking of copping your dog in there for a long time. Also, they do not clean out easily at all. Soft-Sided Dog Crates: These are the cutest of all the cheap dog crate types you can ever find. They are made of fabric and are lightweight too. You can find many really affordable dog crates that suit your sense of style but there are a few things to note about them too. They aren’t for larger dog breeds. As their name implies, these dog crates are soft, made of fabric and look cute. They are best for cute little dogs and no more. 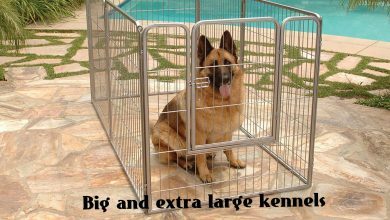 A large, clever dog will easily bust out of a soft-sided dog crate in no time. Again, they are quite difficult to clean and can stink if not properly washed per time. Thankfully, though, a few of them come machine washable. Amazon Basics is a subsidiary of the household brand, Amazon, and has been on the scene for several years now meeting its customers’ needs with exceptional goods and services. With manufacturing facilities spread across Asia, Amazon Basics works with the best hands to ensure that its products are great and come at the most unbeatable prices that customers would absolutely love. One proof is its amazing double door dog crate. Let’s have a look! When money is an issue, sometimes getting the best dog crate for your pet can become a source of anxiety. No one wants to get an inexpensive crate that ends up being worthless in value. 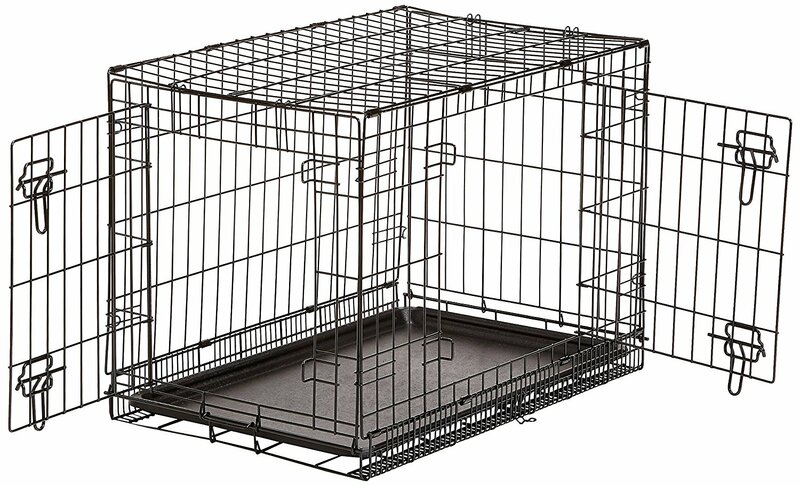 Thankfully, there’s the AmazonBasics Double Door Folding Metal Dog Crate. 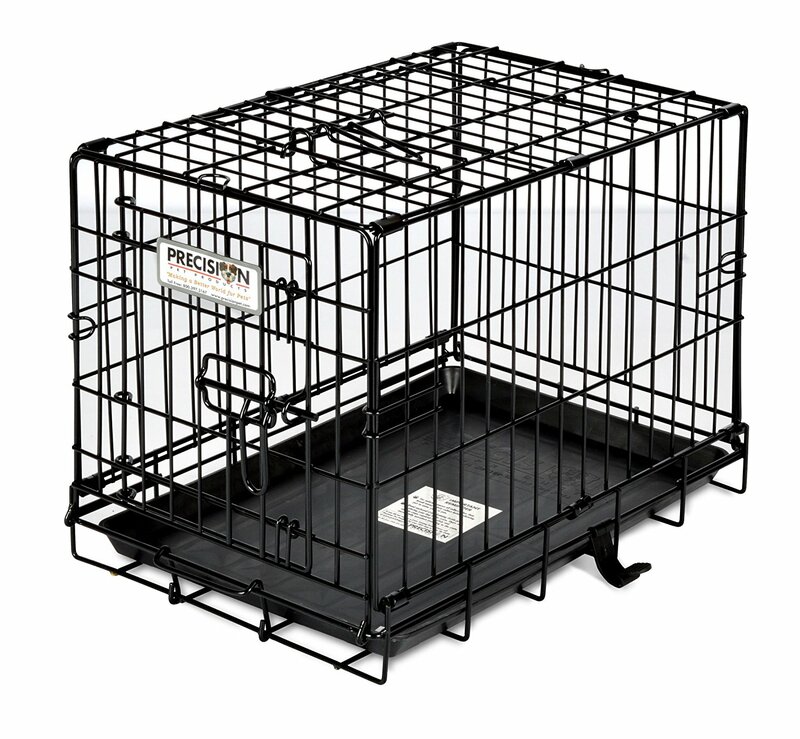 The AmazonBasics Double Door Folding Metal Dog crate is a cheap dog crate option if you’re looking for something inexpensive that works excellently. It even comes with a paw protector. That is, the bottom part of the cage was made in such a way that the gaps are more closely spaced so your pet doesn’t trap his paw in between the gaps. Awesome! Aside from that, this cage comes with double doors which give you and your dog an easier and a more convenient access to the cage. Whether you need to change his tray, give him food, or whether your pet needs to go out or come in, access is smooth. It folds flat, so that saves you storage space. You can practically store this anywhere without taking up usable space around the house. Also, if you need to transport this cage for any reason, it’s going to be a walk in the park. Since it folds flat it can go with you practically anywhere. This particular crate comes in a 30-inch size, but if what you hoped to find was a larger or smaller dog crate for sale, then there are other options also from Amazon Basics that might just be what you’re looking for. There are dog cages for sale in the sizes of 22 inches, 24 inches, 36 inches, 42 inches and 48 inches as well. Each of these options also come with a divider panel, so if you’re going with one crate for your pup to grow in, you can always manage the space as he grows to accommodate him per season. And, of course, there is a plastic pan included helping with the easy clean up of “accidents”. When it comes to metal bending, MidWest is like the avatar of the wire and sheet metal industry. Beginning decades ago, this brand has shown an unparalleled commitment to research which has led it to discover and create some of the most fascinating and incredibly useful consumer products in the market. Always keeping an ear out for trending consumer wants, MidWest launched its pet product line to cater to the need for products such as pet cages, houses, etc. With close to a hundred years (and counting) of experience in producing quality products and services, you can tell that this is definitely one brand that understands how to keep its customers happy. This particular model is a single door but there are double doors if you’d prefer. One thing you’d go absolutely crazy about with this cage is that it is so easy to move around. To make transport super convenient, the manufacturers took the liberty of creating a cage that folds flat and comes with a carrying handle as well as rubber roller feet! So, just as easily as you wheel your luggage through the airport, you can also do same with your dog cage at home, and because they are rubber feet, you can be sure that your floors are completely safe too. It’s pretty easy to set up and fold down and does not require tools at all for either process. It’s made of metal so it’s a great dueling match for your pup and his antics. We want our dogs safe especially when we can’t keep an eye on them, and that’s why this cage comes with a heavy duty lock system that ensures that your dog is safe while he sleeps, or while Y’all travel or any other time that keeping a 24-hour eye on him is practically impossible. This dog crate also comes with other necessary accessories such as a washable plastic pan, as well as a divider panel. So many great qualities for a cheap dog cage or whaddya think?! For more than 30 years now, Precision Pet Products has been in the business of creating quality pet products for pets and pet parents all over the world. Aware of the singular, age-long demand for quality products, this brand makes it a point to only manufacture its products with the best raw materials, facilities, and equipment possible. With this, you can be certain that you will always get value for your money whenever you shop at Precision Pet Products. 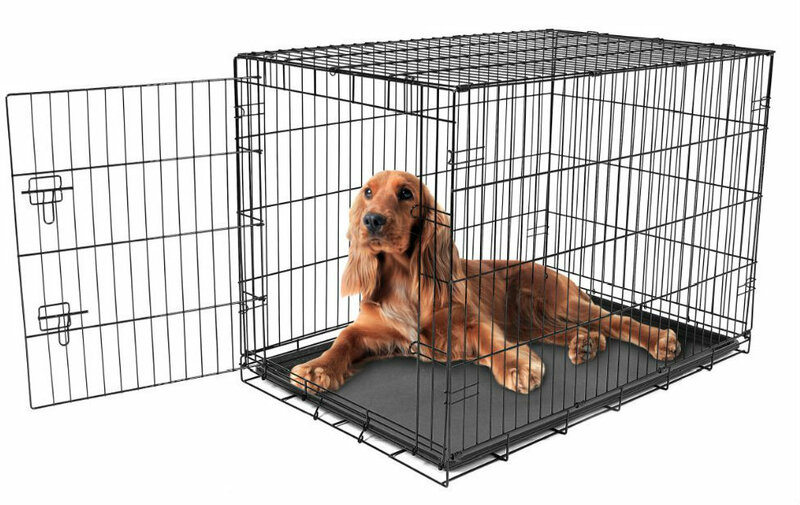 First off, your dog will hardly be safe anywhere else if it isn’t safe in this crate. It comes with a great precision lock system. And guess what? It’s not a single lock system, neither is it double or triple or even quadruple. It is in five different locations! So, now you can literally be more than double sure that your pup is safe whenever he’s in his cage. Score one for this crate! It is made of a heavy-gauge metal wire which helps the crate stand the test of time. Whether your pup is the hyperactive type or the docile one, this crate will last a mighty long time with him and he’s going to love it. To make double sure that it lasts as long as it should, the cage comes with a black e-coat finish. This helps to protect the cage from rust. So not only does your cage last, it also retains its shine for as long as possible. Mind you, this is a small sized dog cage so it’s best for dogs that are 10 pounds at most in weight. However, if you’re in the market for a cheap dog crate for your larger sized dog, then this brand also offers such options. It sets up easily and folds down easily as well. And for a cheap dog cage, this unit sure does over-deliver on its accompanying accessories. There are the regular plastic pan and divider panel. But even more, this cage goes ahead to offer you a training guide with which to crate train your pup. If it’s your first time raising a pup, this is like your Christmas gift came in early. It’s super affordable, with lots of unique features and even a hands up in crate training your pup. What more could you possibly ask for?! Elitefield Pet Products believes that pets are more than just animals. It believes that pets in the home are family. That is why it strives years after year to provide the average pet owner with a wide range of excellent pet products. Elitefield Pet Products is one of the biggest manufacturers of pet accessories and products worldwide. Respected and recommended by vets all around the world, you can be sure that you are getting the very best with Elitefield. Its products, including its soft dog crates, consistently rank at the top of consumer websites every year. Take a huge step towards getting closer to your pet by putting your trust in Elitefield Pet Products. Toilet training, security, and transportation – These are all activities that necessitate the use of a dog crate. Being a huge pet or dog person, you would want the very best for your pet. Perhaps you have been wondering where to purchase excellent dog crates cheap. Stress no more as we are offering you the Elitefield 3-Door Soft Crate. One of the best crates for sale out there, the Elitefield 3-Door Soft Crate is a class above the rest. It is packed with a wide array of great features which make it a must-have for a loving pet owner. Chief among these features is its unmatched accessibility. This dog crate has three different mesh doors that give you unrestricted access to the crates. Situated on three different sides of the crate, the mesh doors allow for cool cross-ventilation. Your pet will definitely have enough sunlight and air with this crate. Perhaps, you’ve been wondering where to keep those essential dog accessories while transporting your pet. This crate takes care of that with accessory pockets for your essentials. It compliments this feature with a handle plus workable straps. The straps even have an adjustable shoulder pad (padded) that makes it easy to carry this crate from one point to another. Accessibility and breathability are important features but when it comes right down to it, how durable is this dog crate? Extremely durable is the answer you are looking for. The frame of the crate is made from extra tough steel tubes. The other parts of the crate are fashioned from hex mesh, 600D fabric. These materials are proven to last long, even in the outdoors. Finally, this dog crate is extremely easy to set-up and fold down. 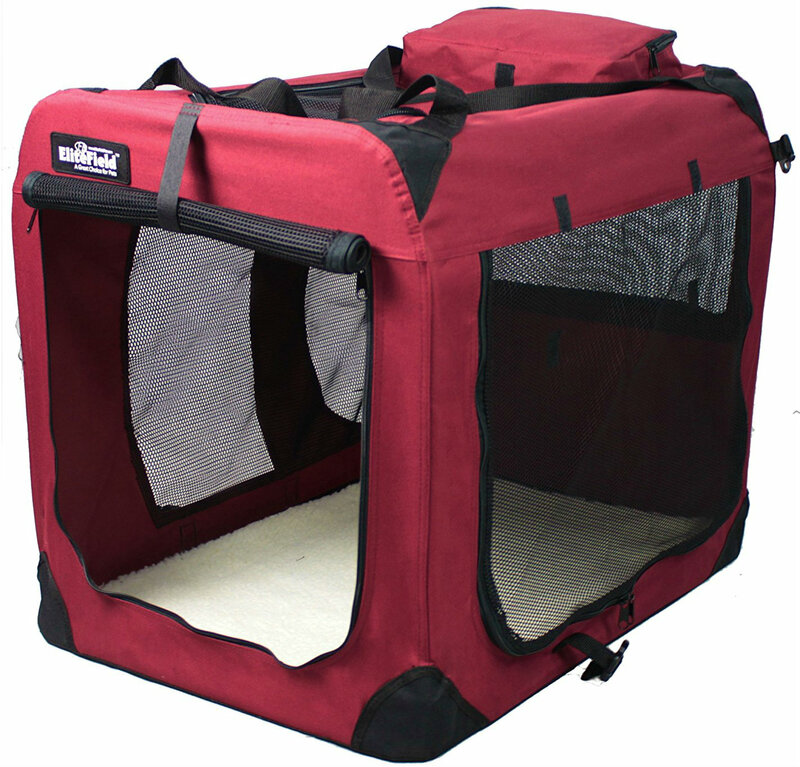 The Elitefield 3-Door Soft Crate was crafted with your convenience in mind. It folds down and can be set up in only a matter of seconds. It doesn’t need any tools. This is achieved due to the fact that most of its parts come pre-assembled. Enjoy convenience and portability like never before. Have you ever wondered who invented pet doors — That ingenious solution that allows your pet to go outside easily? Well, the first functional pet door design was manufactured and patented by Carlson Pet Products. It is, therefore, safe to say that Carlson Pet Products is all about innovation. Time and time again, this is a brand that has proven that it is ready to reach for the stars and beyond where your pet is concerned. Its products are engineered with every eventuality in mind so that it offers you the very best time and time again. Nontoxic and usually chew-proof, you can hardly go wrong with Carlson Pet Products. Have you been having a hard time selecting one out of the many cheap crates out there for pets? We can tell that you are looking for a sleek design to replicate your dog’s natural den. Why don’t you try out the Carlson Single Door Dog Crate? 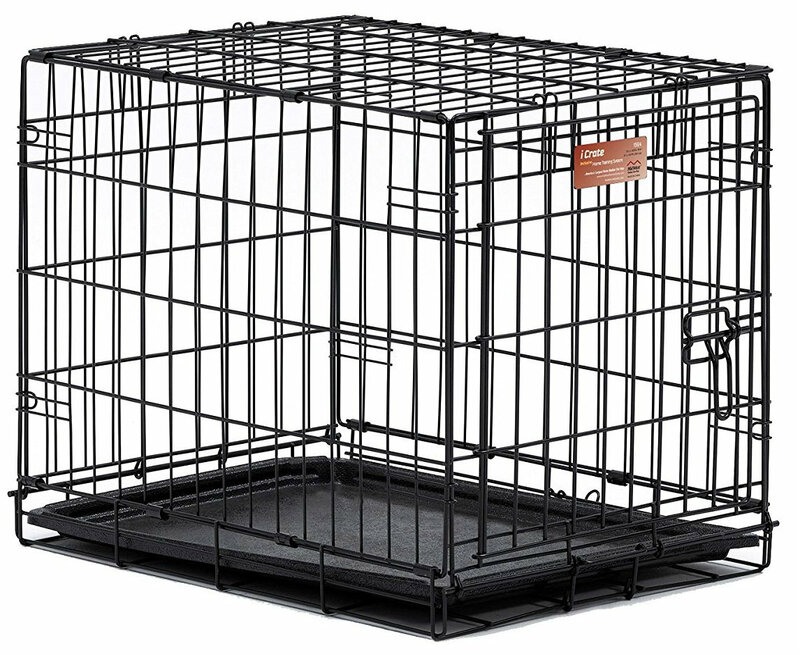 With this crate, security and training of your pet become a breeze. Come along let us show you why we know so. Potty training a dog or keeping it from running amuck in your home can be a chore. However, that becomes an easy task with the Carlson Single Door Dog Crate. This is because it is one of the most secure dog crates out there. It is outfitted with a strong and pet-proof bolt and a double locking mechanism. This principally makes it impossible for your pet to break free of its crate and wreak havoc. Your visitors are also totally safe when it comes to this crate. Perhaps your pet has broken free of other crates in the past, even those with locks. Well, this is one crate guaranteed to keep your naughty dogs in check. That is because it is made of an entirely practical material – steel. The all-steel design of this crate certifies it as up to the task. With this crate, your dog’s bark will definitely be worse than its bite. Easy to move around? Check. The Carlson Single Door Dog Crate is collapsible and folds down like magic. Transport the case or store it in the garage without having to worry about space. The only thing you should be worrying about is forgetting its location. Yes, it is that easy to put away. You probably bought this crate with the intention of potty training your dog. Well till that feat is accomplished, you can clean this crate easily. It has a removable tray at the bottom. This tray is also washable while cleaning it is a trivial matter. Whatever your dog brings, you will definitely be up to the task with the Carlson Single Door Dog Crate. Have you been searching for an all-American brand to provide you with the perfect items and accessories for your pet’s comfort? That search is over. Tested, trusted and tested all over again, Pawdle is an all-American brand created with the sole purpose of giving you and your pet that satisfaction that you deserve. All of its products from the largest cage to the tiniest collars are made in Brooklyn, New York City. Each product is imbued with that traditional American class and reliability that we have come to love and adore. Pawdle works with only the best and quality raw materials. A system that has seen it rise to a good stead in the pet community. Quality is assured with Pawdle. There are different types of cheap dog crates out there, each one with its special features. However, you wouldn’t be here if you didn’t want the best. That is why we have carefully selected out of a wide array of options the Pawdle Dual Expandable Soft Sided Crate. The fact that this dog crate is expandable is a win already. Many times we buy crates which become useless as our dogs get older and bigger. We are pleased to tell you that the Pawdle Dual Expandable Soft Sided Crate is a solution to that problem. 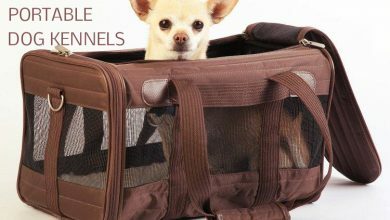 Perfect for when your pets and dogs are small, each side is expandable so that it can accommodate your pet as it grows. In fact with this feature, you can control the living space of your pet. What more could you want! You want to keep your dog secure from ticks and other creeping creatures, yet you also want your dog to be able to breathe. Don’t worry, you can eat your cake and have it with this cheap dog crate. It is made of a resilient mesh material through which air can flow easily. With this, sweat and moisture which might affect your pet would definitely not build up. This mesh material is definitely a plus when you consider the fact that you can easily checkup or interact with your pet without opening the crate up. Most pet owners worry that their pet crates might not hold up when thrust into harsh conditions. Well, this one does. It is made of a durable nylon material combined with mesh. This material is extremely waterproof; water rolls right of the surface and it dries very easily. Its frame is also fashioned from strong wires that will protect your pets in the event of bumps or drops. Lastly, this crate makes use of a zippered opening. This zippered opening makes it easy even for children to open and close the crate without adult supervision. Ideal for all ages! ASPCA is short for American Society for the Prevention of Cruelty to Animals. It is one of the first of its kind to be established in North America. Today, it is renowned as the world’s largest humane society. ASPCA believes that every animal on the surface of the earth has a right to a good dose of respect and kindness every day. They also deserve a good life when they come in contact with any human and should be legally protected. It continues to build state-of-the-art homes for pets and vulnerable animals. So, if you need a home for your canine or feline, you should choose ASPCA products. If nothing at all, you know you are getting an amazing home for your pet. 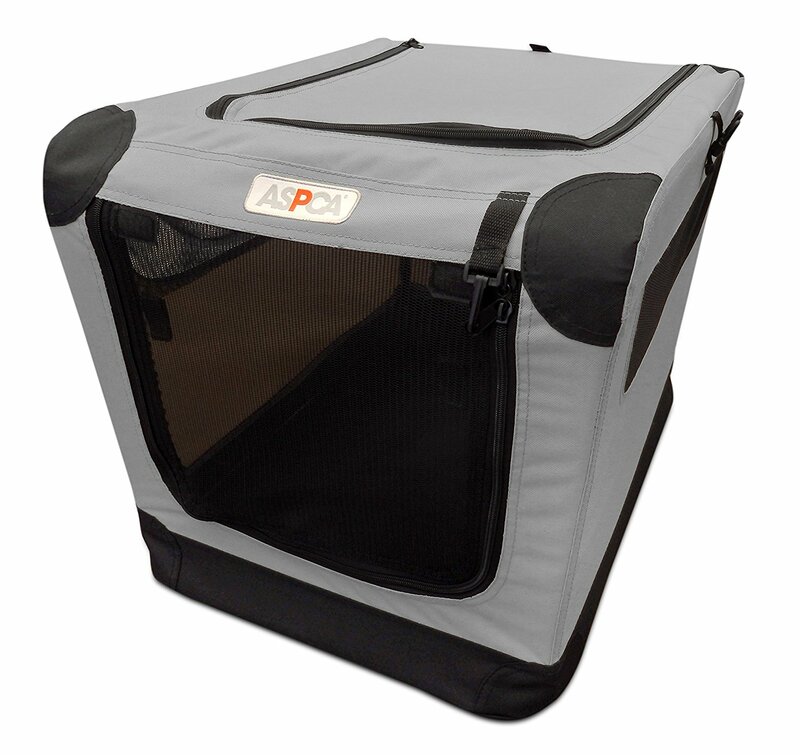 One of such products we think you should check out is the ASPCA Portable Pet Crate. This is one dog crate you definitely want to get for your pet because it allows you the luxury of having your pet in a lovely home outside or inside the home. We can keep rooting for its unique and sturdy construction and design that makes it lightweight so that it is easy to carry even when the pet is in it and its heavy-duty feature that ensures the crate doesn’t fall apart under the weight of the pet. Talk about a truly safe home for your dog or cat. What makes this dog crate remarkable is that it is available in different sizes so that there’s at least one perfect home for your pet. It also comes in different colors that will fit any theme you already have or will like to set up. Another thing we love about this dog crate is that it assembles quickly and easily without any tool and it can fold easily into a flat and compact size for easy storage. This simply means that when it is not in use, you can keep it in a storage space without being robbed of much of the space you have. 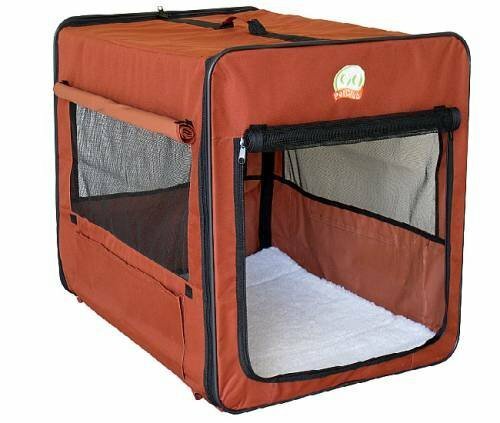 You and your pet will also love this crate because it features a mesh with a zip that allows proper ventilation and easy access to the top and front doors. These doors are also designed to beef up the security of your pet. Go Pet Club is a leading manufacturer and distributor of all things related to pet furniture in the United States and has been in existence for a decade and some. It boasts one of the widest collection of pet furniture in the pet industry and products that are uniquely designed. This brand is known by many as a one-stop shop for pet supplies. Pet owners will readily go for its products because they are of very good quality and come at pocket-friendly prices. Its dog crate, for instance, is one of the finest dog crates on sale. 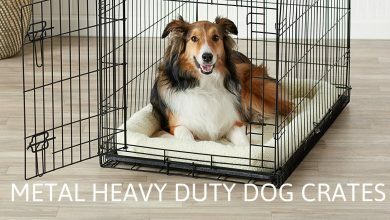 As with every other Go Pet Club product, this crate is made from quality materials that make it durable and long-lasting. Let’s say a little about the materials used. First, the cage is made from a high-grade of polyester that also comes with PVC backing. Meaning the crate is strong and also waterproof. In fewer words, it is built to last. You can take advantage of the 15 styles of the Go Pet Club Soft Crate for the perfect color and size that you and your pet will love. However, we will like to zero in on the brown crate that features dimensions of 18 inches in length, 16.5 inches in width and 16.5 inches in height. This particular crate features mesh doors on each of its four sides for security and adequate ventilation and 3 windows that roll up easily for easy access to the kennel. It also comes with a sheepskin floor mat that provides extra comfort for the pet and can be removed easily whenever you need to wash or clean it. Owning this crate means you won’t be robbed of your real estate whenever the need to store it arises. Not only does it assemble quickly, it also folds into a compact size that takes only 7% of the space it will take when it is opened up and in use. So, for storage purposes on a car travel or in the home, you have only a 2-inch thick crate to store and not some space-eating structure. You don’t need to rob a bank to get a comfy home for your pet. Simply choose Go Pet Club and you’ll be buying one of the great dog crates cheap. Paws & Pals is a renowned retailer of pet supplies in the United States and has been in the business for well over ten years. Its aim is to provide you with all the essentials that your pets require while assuring them of comfort and security. 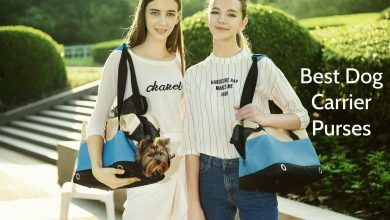 You should totally take advantage of this brand’s high-quality products because they are well-designed and constructed to satisfy you and your pet. We know your pets mean the world to you, so we think you should rock their world with the best furniture. One piece we regard as a must-have is the Paws & Pal Dog Crate for Training Pets. It isn’t just a crate, it is a life stages dog crate that comes with or without a divider depending on the style you eventually choose for your pet. It is made of heavy-duty and solid steel so that your dog can learn to stay calm without scratching while it takes advantage of a secure and comfortable home. The comfort comes from its sturdy and removable tray that can be cleaned easily when the need arises. Depending on the style you select, you can also enjoy the benefit of having a dog crate with a divider. What does this even mean? Well, having a divider in a crate means you can create the most appropriate size of a home in a cage that is too big for your pet and also instill some training. You will love this if you have a pup because you can partition the cage and keep moving the divider to accommodate the growth stages of the dog. This means you won’t need to change the cage because your pet has outgrown it anytime soon. Need we say that this cage has an electro-coat and black finish that makes the cage less prone to fading, corrosion, and rust? Well, many thanks to the waterproof construction also, you won’t be worrying about those. Cleaning and maintenance is a breeze! You may also want to take advantage of the fact that it is totally machine washable to make cleaning less of a chore. Aha! 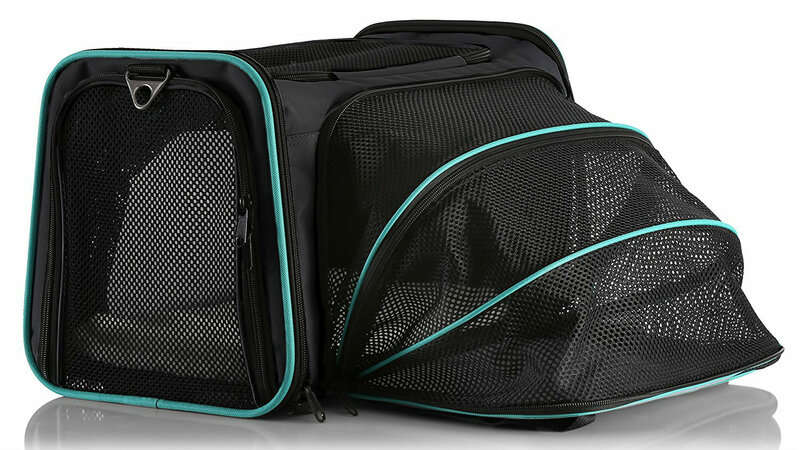 Portability and easy storage are off the hook with this cage because it folds into a very compact size. It is also pretty easy to assemble and requires no tool to get it ready for use. Pet Nation has successfully brought people and pets together for almost 2 decades with high-quality pet supplies and furniture. It has served its hometown in Navarre, Florida for the same length of time with the finest things in the pet industry and still continues to. However, it has also spread its tentacles to other areas in the United States through large retail services and distributors so that you and your pet can also enjoy what the people of Navarre have been enjoying. Choose Pet Nation and provide a happy, long and healthy life for your pets. One way to get this done is to go to the Pet Nation Port-A-Crate Home for Pets. It is a lightweight crate that also features a long strap for easy carrying and transporting when you need to move the pet around. It will be a perfect home for your pets; especially on short outings and will provide security for him or her throughout the trip. Its unique design makes it easy to fold down and set up without hassles and with no tool or technical skill. If you’ve got a dog that is already crate-trained, then this is the perfect home for him. In this crate, the dog enjoys ample ventilation while you get access to the dog easily. 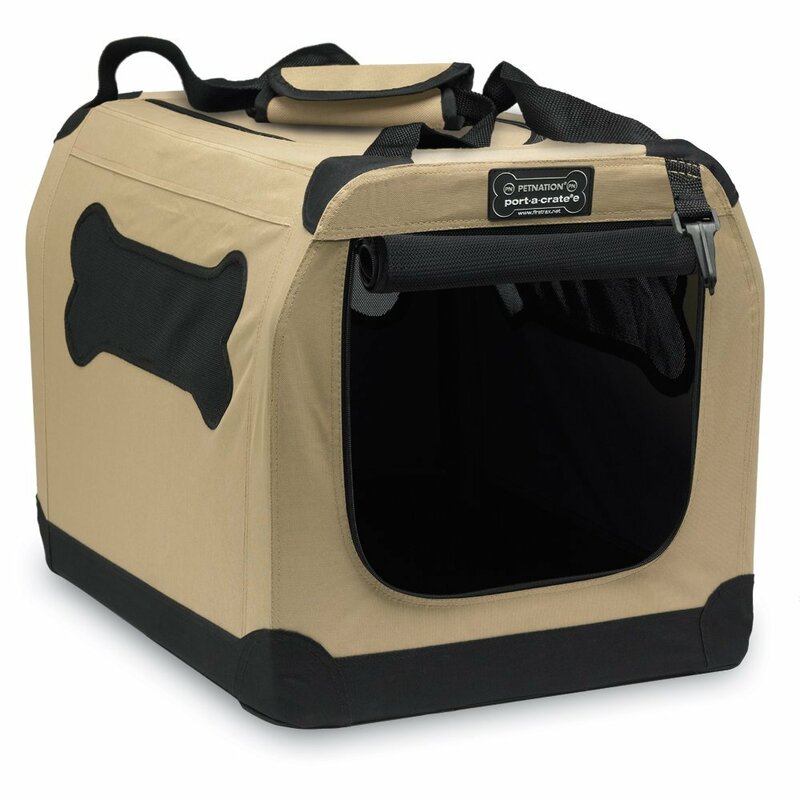 With a sturdy steel endoskeleton and a tough heavy-duty fabric incorporated into its construction, you can rest assured this crate is built to last and also provide a very comfortable home for your pet. The industrial zippers and doors will be your easy go-to when you need to take the pet out or lead him into the cage. Security is also beefed up with the fastening straps that hold the flaps in place. Cleaning is also pretty straightforward as the materials are water-resistant. You can just wipe down dirt and stains easily and also use odor and stain remover to eliminate bad smells. For better cleaning, you can also remove the fabric from the frame and toss it into your washing machine. Safety was also factored into the construction of this crate as it features well-rounded edges and has no small objects that may harm the pet. What’s more? This crate is perfect for pets that weigh 115 pounds or less without falling apart. But because the size of the pet also matters, we advise you to check the measurements of your dog and match them with the dimension of the different crate sizes to make a perfect choice. So you see now that getting a cheap dog crate or cage doesn’t necessarily mean that you have to compromise on performance. There are many cheap dog crate options with amazing value for money on the block and hopefully, with our guide, you will be able to snag the perfect one for you and your pet. Dogs will always be dogs so don’t let a tight budget stop you from letting him live his instincts. Go ahead and get him a great dog crate!